Mascara is considered a critical and basic part of any makeup routine. It can work wonders on even the most tired, dull eyes, and gives an instant pickup to any look. Despite its undisputed place of importance in your makeup bag, using mascara properly demands a steady artistic hand and lots of experience. So we've searched for the tips that will make your mascara application much more successful, and will turn anyone into a professional mascara artist at home. When it comes to mascara, the most effective trick is finding the perfect mascara for you. One that fulfils all the promises written on the package. Whether we're talking about lash length, volume, accent or curl – there is no reason to cut corners when it comes to the perfect mascara. Also, the quality of the mascara must meet your expectations – and that includes smooth, easy application and even more importantly, easy, comfortable removal. Seacret's unique mascara is based on an exclusive innovation that lets you remove the mascara with warm water only, and with no annoying, stubborn residue that is impossible to remove. All you need to do is rinse the eye area, and the mascara comes off quickly and easily. It's almost a miracle. There is a wide variety of attractive mascara shades on the market. Even so, when it comes to choosing the very best mascara, there is no shade that even comes close to black. Black mascara is the best choice to really open up and accent the eyes. For anyone looking for the classic mascara effect, look no further. If you want to create a more natural, gentle look, you can go for a dark brown shade that does the same work as black mascara but in a slightly less dramatic way. Curling the eyelashes is an essential part of creating the right look. Even if you are not using an eyelash curler before applying mascara (and we recommend you do!) it is important to choose a well-shaped mascara brush. The right shape allows for an even spread of mascara, and helps to create the accented look that mascara was made for. The precise cone structure of Seacret's mascara brush has all the right features. The bristles are positioned perfectly to create the ultimate curl effect. Everything you need for the ideal mascara application. In the world of beauty care, there's a trend towards using off-the-shelf cosmetics in a uniquely personal and individual way. 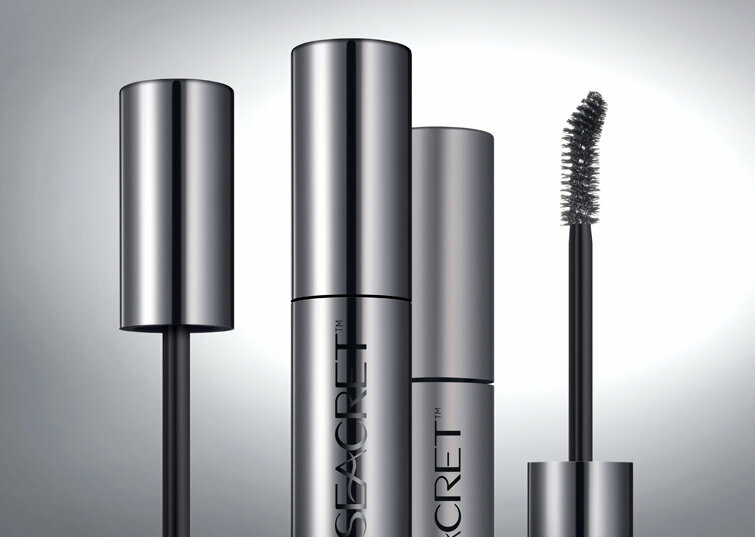 Seacret's mascara gives you complete control over the look you want to create. All you need to do is try it out, and decide how many layers of coverage are necessary for the look you are after. In most cases, one layer will suffice to create an accented yet natural look. From there, the options are open. Feel free to apply a second layer or even a third, until you achieve the mascara strength you need.